European banks and pension funds continue to finance one of the largest and most destructive palm oil giants Wilmar International, according to new research released today by Friends of the Earth Europe . Well known banks including HSBC, BNP Paribas, Deutsche Bank and Rabobank offer financial assistance to Wilmar valuing over one billion euro, and European and American financial institutions own shares in the company worth €621 million . Wilmar International owns oil palm plantation and refiners in Indonesia and Malaysia . 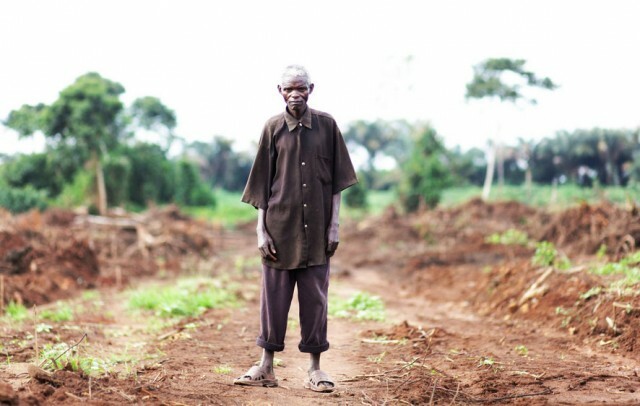 New research from Friends of the Earth Europe links Wilmar’s subsidiaries on Kalangala Island, Uganda to land-grabs and violations of both national laws and environmental legislation . The project has led to the deforestation of around 3,600 hectares in Kalangala and displaced farmers and their families with no compensation or alternative livelihood options, robbing a large number of islanders of their food, medicine, and livelihood. The majority of investors and financiers have sustainability principles guiding investments, with some requiring companies to uphold international standards – the UN Global Compact Principles, OECD Guidelines and Round Table on Sustainable Palm Oil (RSPO). However, investors are failing to act despite clear violations by Wilmar of these criteria, according to Friends of the Earth Europe. Friends of the Earth Europe is calling on investors and financiers of Wilmar to pressure the company to clean up its operations, or risk divestment. European banks and pension funds should not be contributing to land conflicts with local communities, deforestation or to companies who violate national law. Wilmar should bring an immediate end to land-grabbing, ensure adequate compensation, and any future development should obey national law and ensure free, prior and informed consent from affected communities. In 2011 and 2012, Newsweek ranked Wilmar as the world’s worst company in terms of environmental performance (the last of the 500 largest publicly traded companies in the world). Friends of the Earth Europe contacted the major financiers of Wilmar International in Europe who have shares or given out loans to Wilmar in the past three years including HSBC (€921 million), BNP Paribas (€241 million), Deutsche Bank (€24 million) and Rabobank (€222 million) as well as Dutch pension funds ABP and Pensioenfonds Zorg en Welzijn which own shares in Wilmar. Some of these investors have responded by saying that they have contacted Wilmar and are satisfied with its response. Palm oil is commonly used in agrofuels, which are putting major and growing pressure on our land, food and forests. European countries have set targets and subsidies for agrofuels, to meet EU renewable energy goals, but these targets have driven the expansion of plantations overseas. Legislation on agrofuels is currently being debated in the European Parliament and Council: Friends of the Earth Europe is urging the EU to cap and then reduce to zero such fuels, as well as introduce full carbon accounting to prevent high carbon fuels like palm oil biodiesel from being sold in Europe. Wilmar’s subsidiaries are accused of violating the National Environmental Act (1988), the Ugandan constitution (1995), the Land Acquisition Act (1965) and the Land Act (1998).